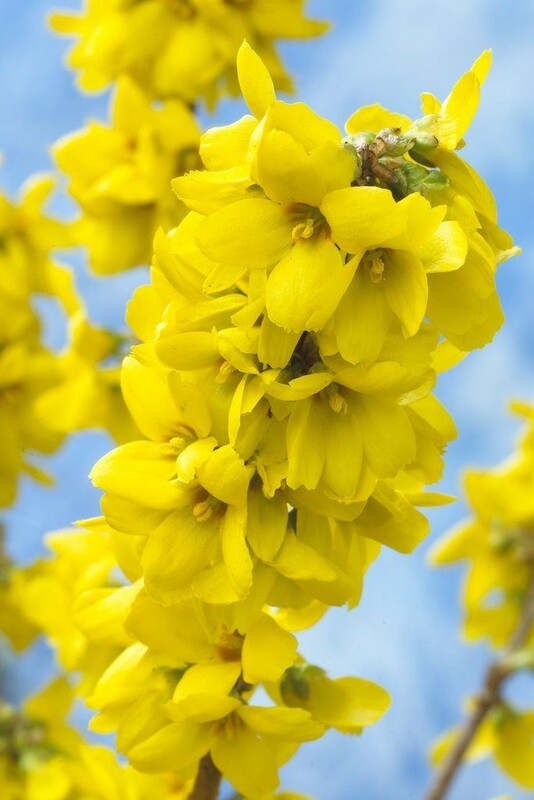 This is a fantastic early Spring blooming shrub, supplied here as a large specimen sized plant to add instant instant impact in your garden. 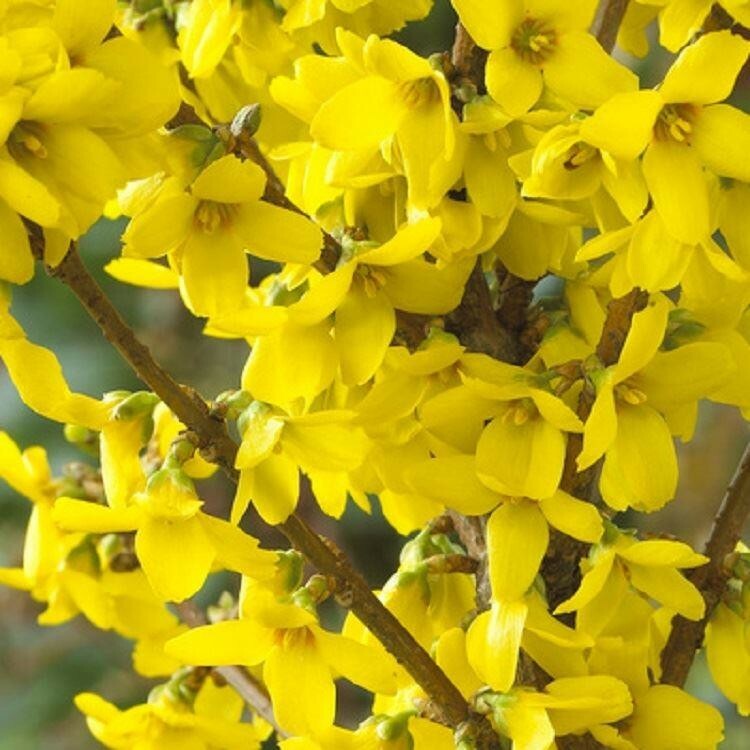 Forsythia are very well know garden plants, and real heralds of Spring, being one of the first shrubs to bloom in the year, adding early cheers after the cold of winter. Tough and hardy, Forsythia can stand anything the British weather can throw at them, and will happily sit poised in bud even when snow is on the ground as they await warmer temperatures. Large flowers of golden grapefruit yellow colour cover the stems, blooming profusely on one-year old wood. Deciduous leaves are attractive mid-green and the plants are very adaptable, tolerating poor soils and virtually any aspect. 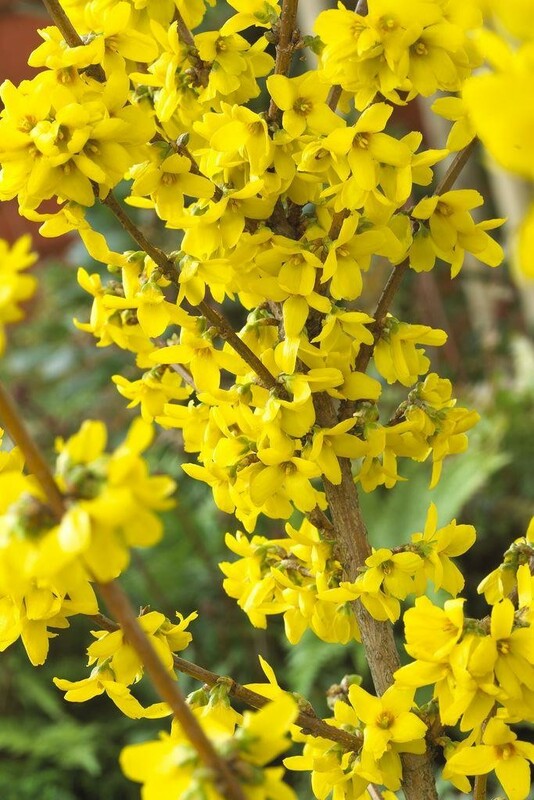 Isn't it time to get this Spring flowering stalwart in to your garden? Supplied as a large specimen plant in approx 10 litre containers, full of buds and blooms in season.